Every March, we hear dire warnings about workplace productivity lost to water cooler chats about the NCAA men's basketball tournaments. In 2008, Challenger, Gray & Christmas estimated that the productivity lost to March Madness would cost the economy as much as $1.7 billion. Idle chatter, it seems, is an expensive waste of workplace time. Well, Alex (Sandy) Pentland, Ph.D., of MIT would beg to differ. In fact, Dr. Pentland, the Toshiba Professor of Media Arts and Sciences at MIT and the faculty director of MIT's Digital Life consortium, and Benjamin Waber, a doctoral candidate at the MIT Media Lab, have found that workplace chatter, even the idle kind, increases productivity. To test the theory, Dr. Pentland and Waber came up with a clever method for examining the impact of workplace socializing. They designed badges imbedded with a radio transceiver, a microphone, a microprocessor, and a set of motion sensors. The badges kept track of the wearers' location, direction, and voice inflections. When one badge wearer met another, the length and tone of the wearers' conversation was measured. The badges could even track subtle body shifts when wearers were sitting down. Then the researchers compared that data with the wearers' productivity. Pentland and Waber found that the badge wearers with more social connections -- and more interactions with coworkers in their social network -- had the highest productivity, whether they were talking about work or, say, basketball. And people who spent the most time "in the groove," moving rhythmically as they went about their work, had higher productivity levels than others. That means, as Dr. Pentland explains in this interview, that perhaps it's a mistake for managers to send workers scurrying back to their desks. 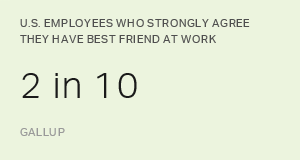 In fact, as he relates, it might be a good idea for managers to encourage workers to spread out and talk to others, to make friends, and to build networks -- even ones based on basketball scores. Read on for a fascinating look at, and justification for, one of the greatest guilty pleasures of work -- idle chit-chat. GMJ: How do social networks form in the workplace? Dr. Pentland: Social networks form in lots of complicated ways, and one of them is nonverbal or unconscious. You can usually tell when that's happening -- and within a minute or two -- by whether you're clicking with somebody. You can see it happen when you're watching people. They begin trading smiles, trading nods, and they become more and more animated with each other. Their attitudes and moods feed off of each other. For instance, we did an experiment where we watched hundreds of people in a big auditorium. When two people were trading nods and smiles back and forth and becoming more and more animated in conversation, there was a certain threshold [at which] we could predict whether or not they would exchange business cards within the next one-hundred-twenty seconds. We could get it right over eighty percent of the time. We looked at job interviews too. We could tell within the first couple of minutes whether a person would get the thumbs up or thumbs down, again with about eighty percent accuracy. What this says is that we are not perfectly rational, completely independent individuals. We are part of a social fabric, and our basic human nature is to pay attention to other people and to share mood and attitudes. That's really the core of who humans are. Unfortunately, the way the psychology and management literature has evolved, their model of a human is a completely isolated, completely rational person. But you know what? That person doesn't exist. There's no such thing. GMJ: You found that there's a link between productivity and face-to-face communication, even when people aren't talking about work. How can that be? Think about what you chat about -- they're social things, mostly. You talk about your family, sports, traffic. You talk about all sorts of issues about how you live your life, raise your family, do your job, stay sane. A lot of things happen around that coffeepot. That's the stuff of being successful. Dr. Pentland: Well, chatting is not just chatting. When you're chatting with others, you see people's reactions to things -- how other people live their lives and how seriously they take this sort of thing and how seriously they take that sort of thing. What you're learning implicitly and tacitly from chatting is how to manage your life in job situations. Part of that is about actual job issues, but a lot of it is about your attitude toward the job and your attitude toward other people. GMJ: I can see how that would make work more pleasant, but I don't see how that makes workers more productive. Dr. Pentland: Think of your work/life balance and your attitude toward the stresses of work as the social capital that you bring to the job. Also, a lot of the chatter actually is about work. When you look at people chatting about stuff, a lot of times they're gossiping about other workers or about situations at work. That actually tells them a lot about the attitude you should take toward things -- what's the received wisdom, what should be taken seriously. Another part of the chatter is about work/life balance and your work strategies: Should you go for a promotion? Should you ask for a raise? And part of chatting is for emotional support. If you don't have face-to-face communication -- in fact, physical touch is important too -- you become more fragile and more unable to stand up to the stresses and the bumps in the road of work. You need some people who will stand at your back and defend you from the spears. GMJ: So we don't necessarily form networks with people who have similar job duties, but with whom we click. Is that right? Dr. Pentland: That's right. And the conscious communication is part of that, of course. But you'll find that the unconscious communication is at least as important, if not more important. GMJ: You've written about the "pulsing star pattern." What you mean by that? Dr. Pentland: When you work in groups of people and you have a dominant person, that's pretty effective for making decisions. It makes the decision-making process go faster -- not necessarily better, but faster. On the other hand, having a dominant person in the group is terrible for brainstorming because all the thinking flows through one person who dominates the pattern of communication. This is a really bad [organizational structure] for creative groups. But it turns out that there's an ancient biological solution; it's ancient enough that bees use it -- the pulsing star pattern. In this structure, the members of the group spend some time outside the group searching and then some time signaling to each other face to face. In all the groups that we've looked at, the creative groups do this best; they spread out, they find new information, then they come back and hang out around the water cooler talking about [what they've learned]. They share this tacit information with each other so that everybody gets up to speed about everything that everyone heard. Then the group makes decisions about the information -- not necessarily through words but through their attitude toward the things that are being brought up -- the items that the members learned and came back talking about. GMJ: So it might be a bad thing for a manager to order people back to their desks. They may be out on an exploring mission. And that's face-to-face chatting again. It's the side channel that determines "What's your attitude about it?" "What do you think this will be good for?" "Is it good for you? For all of us?" "Is it bad?" That kind of communication within the group is just as important as reaching out to find new information. Dr. Pentland: Yes. It's a bad thing to keep people chained to their desks because they're actually out collecting information. Now in some corporations, people do this in a different way. They do the exploring part online or through e-mail or Web pages and so forth. Then they use face-to-face [communication] to do the integration. That's why people with different perspectives should sit near each other and work together. Take hospitals as an example. Often, all the specialists will be in different parts of the hospital. That means the specialists don't understand each other or interact with each other. What you need are multispecialized teams. Even if it means that the radiology department is now scattered all over the hospital, it's worth it from a productivity standpoint. Multispecialized functional teams will think about a problem and bring different perspectives together by going out and finding information in their specialties, then coming together to talk about it. That's how tacit learning and integration happen. GMJ: How are managers integrated into this? Dr. Pentland: We are taught that management is a rational, logical process; that you pay attention to org charts; and that there are processes that need to be done. But when we've looked at actual data of people and their behavior, what we've found is that the things we're not conscious of -- the tacit knowledge, the attitudes people display without necessarily putting them into words -- are at least as important as the words themselves. But what is a manager being taught to do? He's been taught to pay attention to the words or the org chart. He's not taught to make sure there's enough time for tacit communication and unconscious bonding. That's the stuff managers think they should cut out when push comes to shove. GMJ: What about remote workers? Are they then necessarily less productive if they don't have the opportunity to talk face to face? Dr. Pentland: Well, it is a challenge, as everybody recognizes. We did an interesting experiment, though, where we made a device that signaled how much each person interacted during a telephone conference. The device was a little machine that showed whether, for instance, everybody was interacting equally. All the subjects said they didn't pay attention to it because it was just a little thing on the desk, but everybody changed the way they talked -- dramatically. Suddenly, everybody became much more engaged, with none of the typing noise in the background. Everybody contributed more. Just having your interactions measured, even over the phone, changes the dynamics of how things happen. Being noticed brought remote workers into the fold, as it were. So there's hope. There's definitely hope. GMJ: That was my next question: whether being noticed changed behavior. I didn't even need to ask it. Dr. Pentland: Well, see, now you know the answers first. We're on the same wave length. That's exactly how this social networking stuff works.